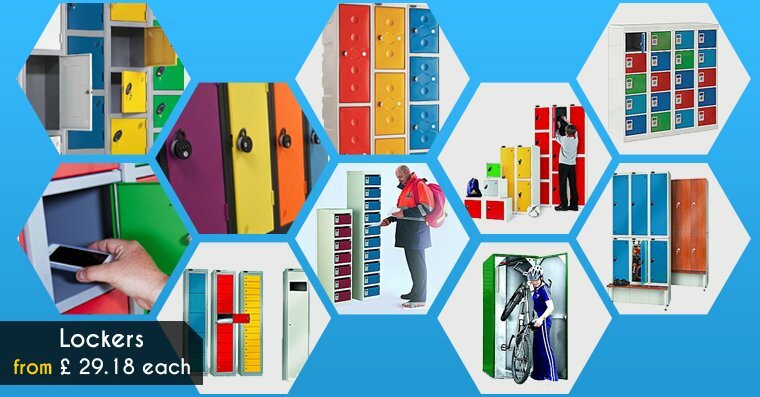 Lockers have always been one of the most demanded workplace equipments. They not only provide a definite capacity to store things but also play an important role in bringing about a sense of discipline and awareness in the organization. When you step out in the market you will come across a wide range of storage options to choose from and many factors to consider for making the best choice. One of the most important factors to consider would be quality. ‘Why quality lockers?’. Let me walk you through some of the advantages of choosing quality lockers for your employees. Read on to find out. When you have good products, you need not spend oodles of money on maintaining it. Maintenance of storage lockers refers to adding coats of paint, repairing dents, removing graffiti and so on. When you are inferred with such costs every now and then, a storage solution would not only prove to be expensive but will also makes it difficult for the employees to use. Also the frequency of maintenance would be cut down when you have a quality product in your premises. Owing to this, nowadays many organizations are emphasizing on buying storage solutions that are worth the investment. Storage lockers for staff room are a one-time investment, which proves to be useful for the organization as well as the employees. Happy employees, improved productivity, keeping the employees away from distractions, making the best use of office space, keeping the clutter away and many such benefits could be obtained when you have a quality staff locker in the premises. Moreover, they continue to provide these benefits for years to come. Apart from proving to be beneficial for the company, a good storage solution plays an important role in making life easy for the employees. Employees are always accompanied by a definite set of personal belongings, wherein some of it could be quite expensive. This demands a good storage facility wherein the employees are satisfied over the fact that their belongings are under safe custody. When you have quality storage lockers you often end up giving them more than storage space. Employees will be more than happy to learn that they have been endorsed with facilities that are par excellence. This will add to their happiness quotient. The staff will be assured that all their belongings are safely stored, keeping them away from distractions. This ensures that they concentrate better at work, influencing their productivity. One of the best ways to positively influence the productivity of the employees is to ensure that their personal belongings are under safe custody. By doing so you get to win their concentration and trust that would indirectly help in boosting their productivity. An improved productivity often proves to be a fruitful situation for the organization. Another important characteristic that is included with quality is the ease that it emotes when it comes to using storage solution. One need not worry about the intensity of the usage or the way in which it would be handled. Quality often withstands rough handling. The employees need not be extra careful when they have to use their respective lockers as it will seldom give away to rough handlings. ‘Quality’ is an all time prioritized term, whether it is with service or a product. Having said this, a storage solution, when synonymized with quality often turns to be one of the reasons for happy and satisfied employees. Apart from winning the trust, quality storage solutions also manages to provide a safe and flexible office environment. Reliability and security are yet another important characteristics of quality storage solutions. On a concluding note, quality storage products have never failed to win the trust of the employees as well as the management. Hence, their presence should be mandatory in the workspace. This entry was posted on Friday, October 5th, 2018 at 9:13 am	and is filed under Lockers. You can follow any comments to this entry through the RSS 2.0 feed. You can leave a comment, or trackback from your own site.